Is Master of Project Academy REP? The short answer to this question is “Master of Project Academy courses approved and recognized by PMI as source of PM education”. Master of Project Academy prepared over 50,000 professionals in more than 180 countries for the PMI certification exams. First attempt pass rate of our students is 99.6% and this is industry leading figure! Are you going to sit for PMP Exam? You can see the recent PMP student reviews who enrolled and passed the PMP exam successfully with our courses. You will see the links of the students to their LinkedIn profiles in the posts that they are not fake testimonials! 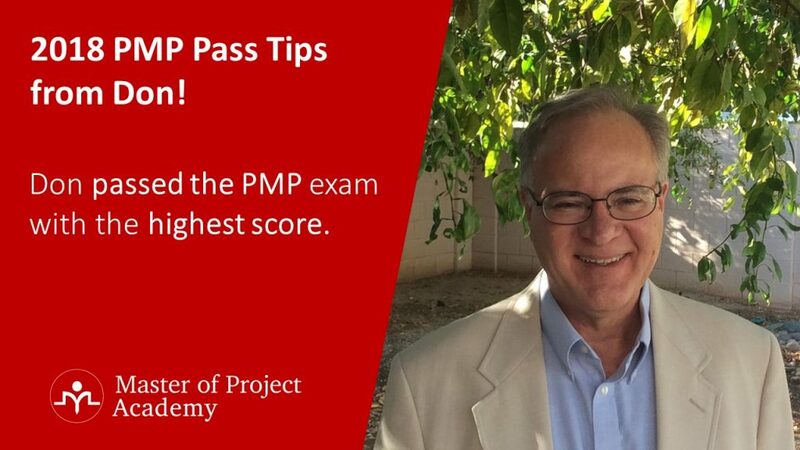 Sanjay’s PMP Story – He passed the PMP exam in 20 days! Are you going to sit for CAPM Exam? 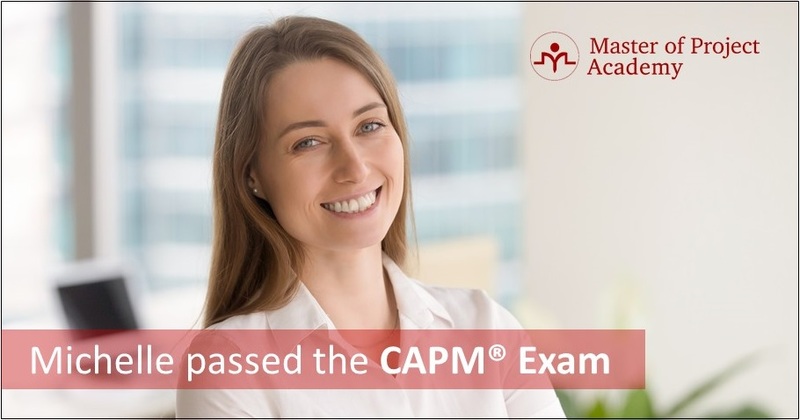 You can see the recent CAPM student reviews who enrolled and passed the CAPM exam successfully with our courses. You will see the links of the students to their LinkedIn profiles in the posts that they are not fake testimonials! Are you going to sit for PMI-ACP Exam? See Leonid’s PMI-ACP Exam Story. Note that, these are only a few of our 50,000+ happy and successful students. You will be as happy and successful as they are. What about the long answer for “Is Master of Project Academy REP?”. 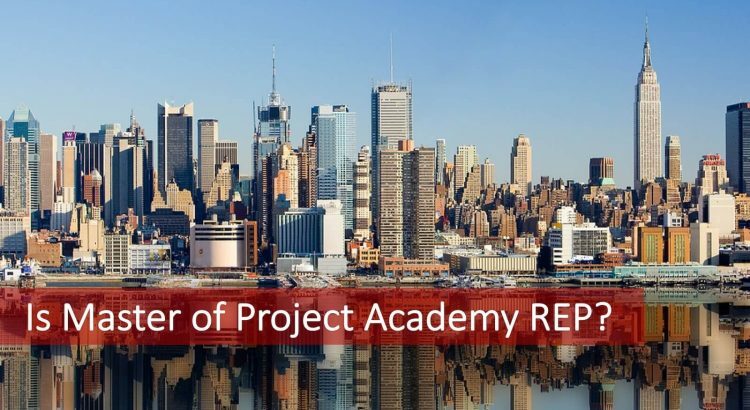 Why do you wonder about Master of Project Academy REP status and why it is important we will describe it step by step. Because, some people might not be aware of REP concept and we should describe this for them as well. If you are planning to sit for one of the PMI certification exams (PMP, CAPM, PMI-ACP… etc.) you must attend in a training as required by PMI. When you are looking for a training provider, you must be sure that the training provider will satisfy the PM education requirements of PMI. Otherwise, your application might be rejected. One of the ways that PMI recognizes education providers is becoming a REP. Let us give details about REP program of PMI. REP stands for Registered Education Provider. Education providers who are offering trainings for PMI certification exams apply for being a REP. There are certain requirements of being a PMI REP.
Training Organization must have been training certification aspirants for more than a year. Instructors of the organization has relevant certifications for trainings. For instance, a PMP instructor must hold PMP certification. Content of the training materials must be compliant with the latest PMBOK and other standards of the PMI. REPs pay an annual fee to PMI for maintaining their REP status. PMI reviews the REP applications and conduct continuous reviews for the upcoming years when the renewal time comes. Courses of PMI REP training providers are defined on PMI database so that during your certification exam application, you can select which training you enrolled easily. However, this does not guarantee that you will pass the PMI audit. There is a misconception about PMI REP designation that students think if they enroll in a PMI REP training, their application will not be audited. This is not true. PMI picks applications randomly regardless of the comprehensiveness of your application. Therefore, they might ask you to provide education details although you attended a PMI REP program. Is it a must to attend my certification training from a REP? No, it is not. Of course, the PMI REP institutions highlight this designation with stickers and their PMI REP ids in their pages. However, PMI does not expect you to attend in a training from a REP institution. You can understand this easily from the PMI REP requirements as well. PMI expects a training organization applying to be a REP to be teaching students for certification exams for at least one year. This means that PMI accepts trainings of organizations who are not REP as well. PMI clearly describes what they expect from training programs and training providers in their certification exam guides. For example, let us look at the PMP handbook, which is the guide for PMP certification exam. 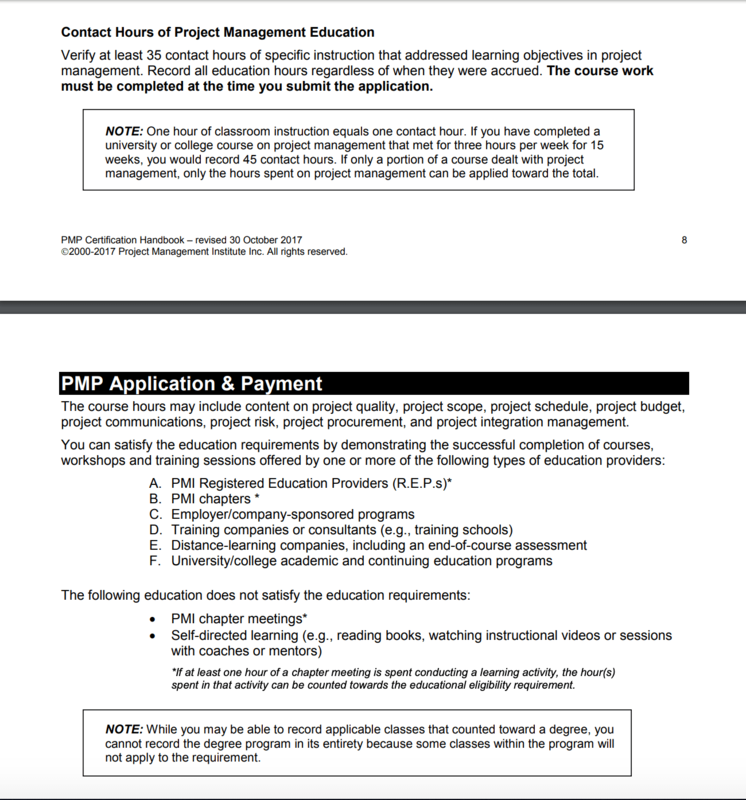 Since PMI might change the link of the handbook so that you might not see, I directly pasted below the related sections about what PMI accepts as source of 35 contact hours of PM education. As you can see that attending a REP training program is only one of the six alternative ways of satisfying PM education requirement of PMI. Is Master of Project Academy REP? Is Master of Project Academy REP? No, Master of Project Academy is not a REP. However, our courses are recognized and approved by PMI as contact hours education requirement for PMP, PMI-ACP and CAPM exams. Master of Project Academy training provider belongs to category E in the type of education providers listed by PMI. This is “Distance-learning companies, including an end-of-course assessment”. All Master of Project Academy courses are 100% online and self-paced and includes an end-of-course assessment for students to assess their readiness for the certification exam. From over 50,000 professionals who sat for the PMI certification exams, none of the Master of Project Academy students failed to meet education requirements of PMI until now. In case our students hit PMI audit, we provide certificate of completion, letter of enrollment and curriculum of the course to the applicant and upon providing these to the PMI, students pass the audit successfully. I hope this Master of Project REP post cleared out your doubts about questions like “is Master of Project Academy REP?”. Moreover, all of Master of Project Academy courses come with a 30-day refund guarantee(*). You can ask for a refund if you are not satisfied with the content. *To get a full refund, you must have purchased in last 30 days and did not exceed 10% of the course.